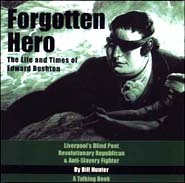 IT is just a few years since I heard about Edward Rushton, Liverpool's blind poet, anti-slavery campaigner and radical revolutionary. 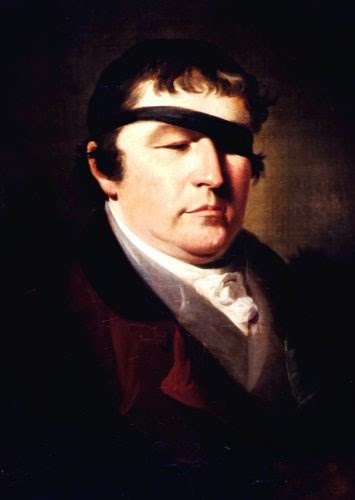 Born in John Street, Liverpool, in 1756, Edward Rushton was educated at Liverpool Free School to the age of 11, and then he was apprenticed to a shipping firm, sailing to the West Indies. It was thus that he saw the slave trade first-hand and also befriended a young African slave of his own age. Rushton's adventures at sea were ended when a disease caught overseas caused him to go blind at the age of 19. But that was just the start of a new life, in which he did not forget what he had seen, nor fail to advance those who faced the same obstacles as himself. Rushton wrote poetry, campaigned against the press gangs and against black slavery, and supported the American War of Independence and the French Revolution. He founded the worlds first school for the blind which, in the middle of the nineteenth century, moved to a building later occupied by the Merseyside Trade Union, Community and Unemployed Resource Centre. This month marks the bi-centenary of Liverpool's great unsung radical, Edward Rushton. I've spent two years researching and writing about this extraordinary man, and I can't believe that he has remained a virtual secret for two hundred years. Come and help us in this archeological dig, and celebrate our forgotten hero... Blinded at seventeen as a result of helping kidnapped Africans below decks on a slave ship, Rushton educated himself by having a boy read to him during a long period of poverty. Eventually accepted into the liberal abolition circles dominated by university men such as Rathbone and Roscoe, the 'ordinary sailor' Rushton became one of the most intransigent opponents of slavery, suffered hostility within the slave trading city, lost two businesses through Admiralty boycotts and widespread public hostility and escaped an assassination attempt - only to persevere in his various campaigns, and to finally see the slave trade abolished in 1805. To celebrate Rushton's life - and hopefully to help pull him out of his shameful anonymity - Turf Love and DaDaFest are collaborating on a number of events in Liverpool throughout November and the coming months. Here's what's lined up.... Exhibitions at the Victoria Museum and the National Slavery Museum, readings in libraries sponsored by UNISON, a commemorative inter-faith service in the Anglican Cathedral (Nov 22nd) and a staged reading of the new play by James Quinn and myself, Unsung. Please book free tickets below. I will be speaking about Edward Rushton and giving readings from his work on Wednesday Nov 12 at Toxteth Library (1.30-3) and Central Library (6.30-8pm). These readings are sponsored by UNISON, and are free. It would be really good to see you at some of these events.